Do you or someone you know love BBQing? 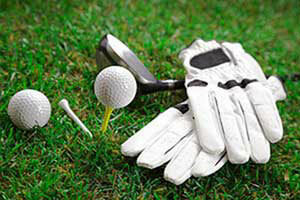 Why not take the BBQ to the golf course with one of our BBQ Themed Golf Tee Bags? A perfect little gift for the BBQing golfer you know to celebrate National BBQ Month in May. 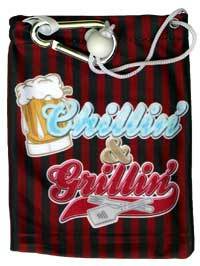 This red and black striped drawstring golf tee bag has a beer mug, BBQ tools and the Chillin' and Grillin' motif which goes with our other BBQ themed accessories.